We haven’t any dates planned for LA at the moment – sign up for our newsletter or join our Facebook group to keep in the loop. See you on the dancefloor! My vision is to help others achieve their dreams by empowering them with confidence through the power of dance! For every single detail to be beautiful and for people to be inspired and comfortable to dress in whatever way makes them feel like their true selves. Tessla Venus Goodwin has a deep love and appreciation for all things beautiful and sparkly. She graduated from USC in 2013 with a degree in Public Relations and Visual Culture. While working at a few different fashion brands, she found herself being most inspired by the fashion and culture she experienced at festivals. Her soul was truly set on fire after working as the decorator for a boutique festival at a magical desert oasis. She set off to combine her love for beauty, fashion and festivals and pursue a career as a vendor coordinator. She hopes to use Morning Gloryville as a platform to connect local up-and-coming companies with people that will benefit from their offerings. Ashley Lorona constantly seeks the new and exciting. Since being completely moved by her first transformational festival in 2008, she has fully immersed herself in dance music and its culture. Through artist relations work at events and festivals she has been working diligently to spread its sound. She truly believes in music as medicine and finds great joy and purpose in taking care of the people who create it. 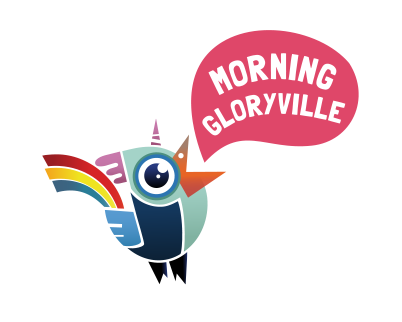 Ashley is honored to be the talent buyer and artist liaison for Morning Gloryville Los Angeles. She plans on using the opportunity to showcase some of the festival world’s best performers in a unique morning party setting, because if they can’t get us out of the bed and moving, who can? Michael aka “Coyoti” is a man of many talents. From metal fabricator and art car builder to DJ, he is the owner/operator and Resident DJ of The Blackbird Bus, and a Founder of Freeform Arts Festival. Coyoti is also the Site Ops Producer of Morning Gloryville and one of our resident DJs. To all of those who have been supporting us along this journey so far! Caitlin from Morning Gloryville HQ, McKenzie and Rachel from MGSF, all of our friends and family, and the growing participants we have in Los Angeles.